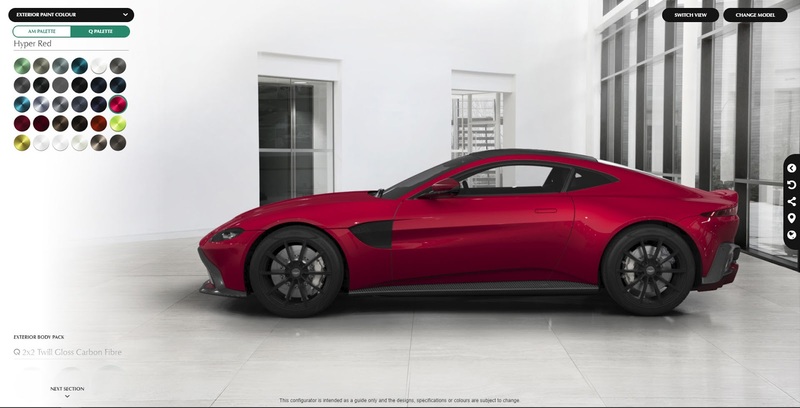 When it lands in showrooms, the new Aston Martin Vantage will be one of the most beautiful cars on the roads. Sadly, only those with a large bank balance will be able to purchase one. 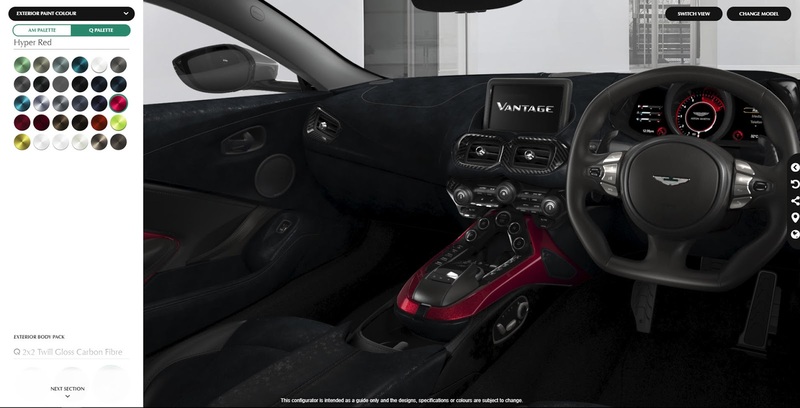 Nonetheless, the British marque has released an online configurator of the Vantage, accessible to anyone with an internet connection. 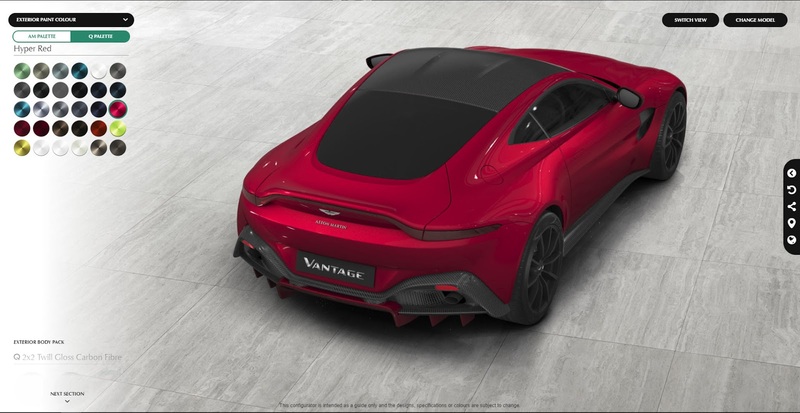 If the press pictures didn’t totally convince you of the car’s new design, speccing out your dream Vantage should definitely do the job. 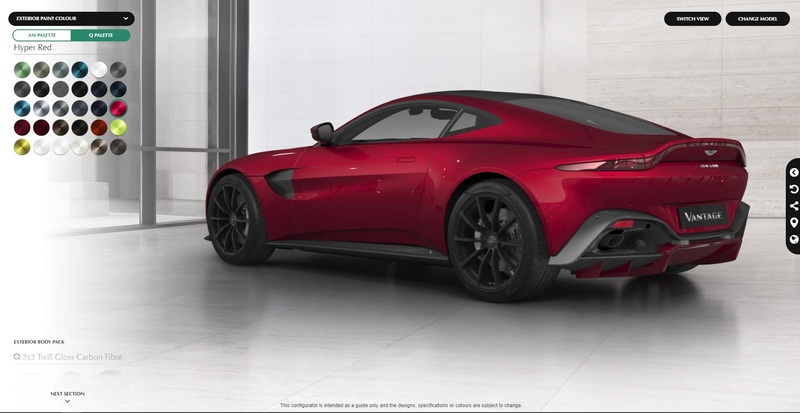 The configurator is one of the most comprehensive we’ve seen and allows users to tweak everything from the paint color to the finish of the front grille, mirror caps, roof, wheels, wheel center caps, badging, and brake calipers. 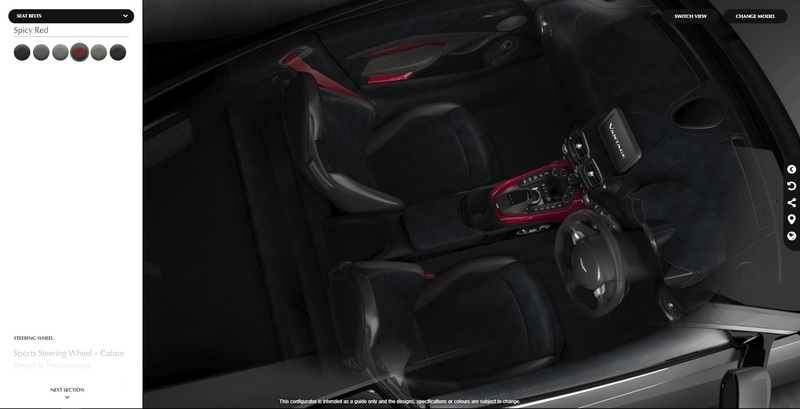 The interior can also be customized to your heart’s content. 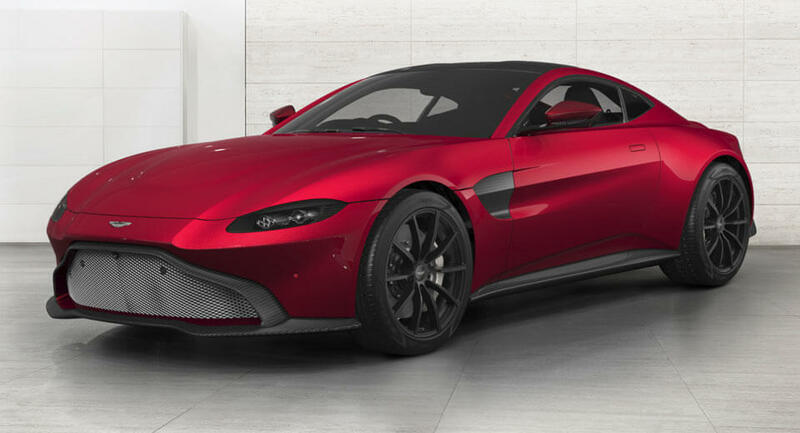 In creating our Hyper Red Vantage, we optioned features like the sports seats, alcantara, Hyper Red trim, the ‘Interior Jewelleraluminumand aluminium tread plates. Be warned, you could by playing around with the configurator for hours.